I just moved into my new apartment, and the person who lived here before me left a full-length mirror behind. 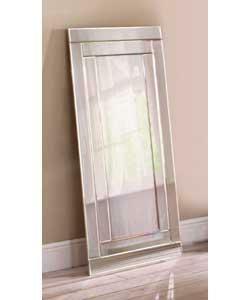 But the thing is, it's not just any mirror—it's a skinny mirror. Yep. As in "I look like a total babe in this skinny mirror" skinny mirror. As in "I wish others could see how hot I am in this skinny mirror" skinny mirror. Why on earth would anyone leave a skinny mirror behind?